Update: This page was updated on 15-11-18 to reflect PSI now being powered by Google Lighthouse, and the associated metrics this now provides. Google does a great job of providing a variety of tools for SEO’s and webmasters to use, and although they may not provide the most detailed analysis available, they’re about as close as we can get to see exactly how Google views our web pages. The trouble with these tools is that they’re all based on a single URL at one time, and scaling them across an entire domain can be a time consuming and tedious task. However, with our very own Spider and its extraction capabilities here to lend a hand, you can easily automate most of the process. So go ahead and grab an excel list of every single URL you’d like some page speed data on, if you don’t have a list already, just give your site a crawl and take it straight from the tool, or download via the sitemap. Once that’s in just use a quick formula in the adjacent cell to join them together into your nice PSI friendly URL. Now you’ve got the URLs sorted you’ll need to make sure Google doesn’t realise you’re using a bot and bring down the Captcha hammer on you straight away. Switch the tool over to list mode, (on the top menu > Mode > List). 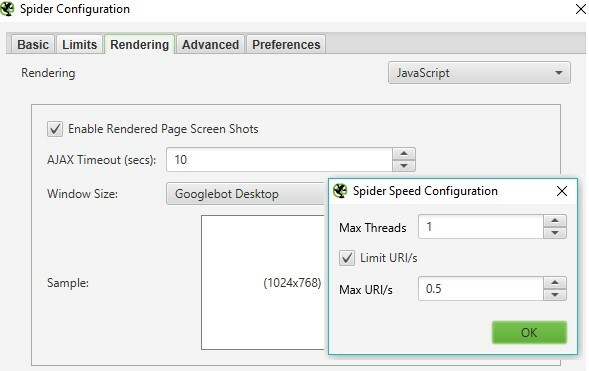 Go to the speed panel (Configuration > Speed) turn the max threads to 1 and the Max URL/s to somewhere between 0.1 & 0.5 a second. You might need to play around with this to find what works for you. Now that the tool can crawl and render our chosen URLs, we need to tell it what data we actually want to pull out, (i.e: those glorious PageSpeed scores). Open up the custom extraction panel, (Configuration > Custom > Extraction) and enter in the following Xpath variables depending on which metrics you want to pull. That’s it, you’re done! Once all the above has been sorted simply highlight and copy your list of URLs in excel, switch to the tool hit the upload > Paste, then sit back and relax as this will take a while. I’d recommend leaving it running in the background while you scroll through cat videos on YouTube or your preferred procrastination method of choice. After a coffee/nap/cat-vid, you should hopefully come back to a 100% completed crawl with every page speed score you could hope for. Navigate over to the custom extraction tab (Custom > Filter > Extraction) and hit export to download it all into a handy .xls spreadsheet. Once the export is open in Excel hit the find and replace option and replace https://developers.google.com/speed/pagespeed/insights/?url= with nothing. This will bring back all your URLs in the original order alongside all their shiny new speed scores for mobile and desktop. What I find particularly powerful is the ability to combine this data with other metrics the spider can pull through in a separate crawl. As list mode exports in the same order its uploaded in, you can run a normal list mode crawl with your original selection of URLs connected to any API, export this and combine with your PSI scores. Essentially allowing you to make an amalgamation of session data, PSI scores, response times, GA trigger times alongside any other metrics you want! 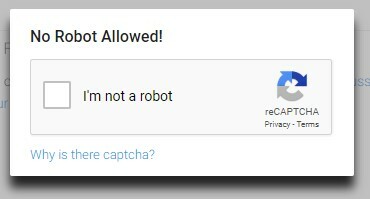 If set up correctly, this process should be seamless but occasionally Google might catch wind of what you’re up too and come down to stop your fun with an annoying anti-bot captcha test. If this happens just pause your crawl, load up a PSI page in a browser to solve the captcha, then jump back in the tool highlight the URLs that did not extract any data right click > Re-Spider. If this continues the likelihood is you have your crawl speed set too high, if you lower it down a bit in the options mentioned above it should put you back on track. If for any reason, the page is rendering correctly but some scores weren’t extracted, double check the Xpaths have been entered correctly and the dropdown is changed to ‘Extract Text’. Secondly, it’s worth checking PSI actually has that data by loading it in a browser — much of the real-world data is only available on high-volume pages. What’s great about this is if you have any other online tools similar to PSI, you can adapt the extraction feature to pull out any of your necessary data, (however, this won’t work for every tool and some of Googles others are a bit less lenient towards bots). Simply find and right click on your chosen metric > Inspect to load up the rendered HTML. Within that panel again right click on the area with your metric > Copy > Copy Xpath and add it into the extraction setting within the Spider. Et voilà, you now have access to your very own bulk testing tool, for more details on the scraping potential of the SEO Spider, it’s worth checking out our web scraping run through here. I hope this quick guide was helpful and should you run into any problems, or have any other useful tricks with the extractor function then let us know in the comments below. Very nice approach to measure page speed accurately. Totally agree with the common problem of people generalizing a website’s page speed based on a single URL. Wow! This load of information helps me to figure out how to deal with my sites speed. Thank you, Richard, for the share, I will bookmark this to capture the process whenever I forget the gold steps you have highlighted. Thumbs up! Such an Awesome Post !! I did not get a result when I did this operation. A domain extension is a newly emerged domain extension .vin extension. I get a negative result I can not get results because my site address seo.vin is a new extension for you? It looks as though PSI doesn’t have sufficient real-world speed data for the domain to display the FCP & DCL scores, You should still be able to extract the optimization scores though. Best post in years! Keep up the good work. Screaming frog is a great tool, i’m getting more and more in to it, and discover everyday news things which for i used to use an other tool. Seems like you guys are getting all tools into one. The “couteau suisse” of SEO. Thanks for that and freemium feature. Awesome Richard!! Mobile friendly and Page speed of your website has to be faster than 2.6sec to load especially on mobile devices in order to enter the ranking race for keywords nowadays. Keep screaming great post coming Mr frogs. Epic! 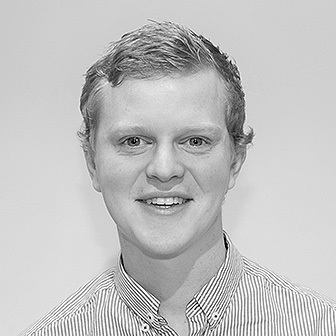 Thanks for that Richard – perfect addition to our tech SEO audit checklist. Great article Richard. Thx a lot. Richard, very well-done! Super helpful. an atypical use of very useful Screaming Frog. 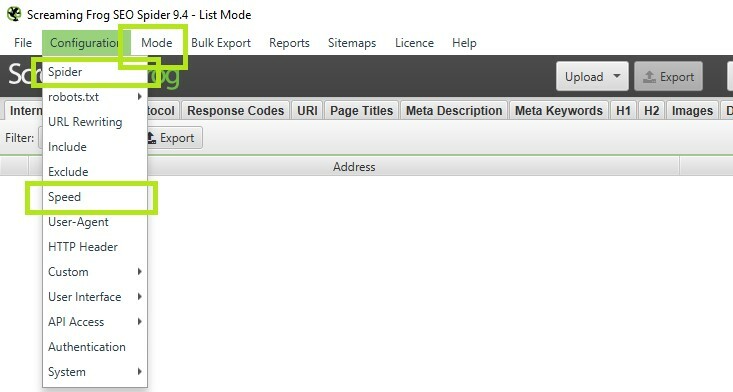 That’s a smart way to use ScreamingFrog spider, the re-spider function is nice to fight back the anti bot captcha. This is a great article, and I see some responsed who get results. But I don’t get any results. The status code of the URLs are 0, while when I copy and paste this into chrome they show the page. Thanks for sending this over, much appreciated! That was the exact updated Xpath. Thanks for sharing it. But unfortunately it ain’t working for me. Especially the Mobile and desktop score. I’ve just updated the post to reflect the new PSI metrics. Hi SF team! This is really nice article! It’s very helps me to optimize speed on my site. Can this be taken a step further to extract the markup in the “Opportunities” area? Such as the opportunity description and savings numbers? I’m not too familiar with XPath at all so I am not sure where to start. Do you happen to have any resources for learning about XPath that you recommend? These are a bit tricker as they change dynamically depending on what opps are listed. You’ll need to change the last bracket  for each one (so a maximum of 10 at a time), and unfortunately, won’t include the potential savings. THIS is exactly what I was looking for; can’t wait to try this out on our client with 6,000+ pages who has suddenly decided to prioritize page speed despite a . Thanks for the comprehensive post! Why all the configuration? Is there no way to save/load these configurations automatically? Kind of stupid that you have to manually set this up every time you want to do it… Not talking about the file you need as that I guess is pretty custom, but would be nice to be able to store and re-use all the configuration and mode. ‘File > Config > Save Config’, will store all this, it’s a one time set-up. You can then choose the config file each time you want to use it. Looks like this is no longer working. I’ve set it all up as per the instructions above and I’m getting nothing back for any of my extractions. Leave the user agent as SF. If you’re still having trouble drop us an email and I can take a closer look. Thanks for this blog post, really useful, and I’ve saved the Custom Configuration for quick use in the future. I think I discovered an error in your Custom Extraction codes above. I was having an issue with the Mobile Speed Index (Lab Data) not matching up (or coming anywhere close) to tests I ran on the Google PageSpeed Insights page. It looks like you have the wrong number at the end of the code. You show a “1” (which was just the same as the Mobile FCP (Lab)), but when I change it to “2” I get Mobile Speed Index results the same or almost the same from the PSI tests I’ve ran. If I’m correct, you’ll need to update the Custom Extraction code above and the screen capture as well. Thanks and keep up the good work and improvements to the Screaming Frog crawling software. You’re right! I’ve updated the Xpath for the mobile speed index, so should be working again. A lot more reporting needs lately and this has given me so many ideas. Honestly, it’s been awhile since I got so excited reading a blog post, can’t wait to set this up. Thanks! Thanks for the great tutorial. Unfortunately it doesn’t seem to work with the new PSI anymore. The extraction doesn’t get any data and the “Rendered Page” screenshot is showing the PSI startpage. Any workaround to get the PSI speed data for desktop and mobile with Screaming Frog? It might be worth double checking your user-agent is set to SF, and that you don’t have any rogue options set in the config (maybe worth a clear to default). 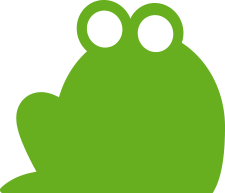 If you’re still having trouble drop me an email with a save of your crawl at support@screamingfrog.co.uk and I’ll have a closer look at what’s going on. Thanks for your reply by mail Richard! It works like a charm now. If anyone else is having my problem -> the ‘Check External Links’ option is essential. One of the best articles in pagespeed insights I have ever read!!! Great work!! Really just wont let me render.